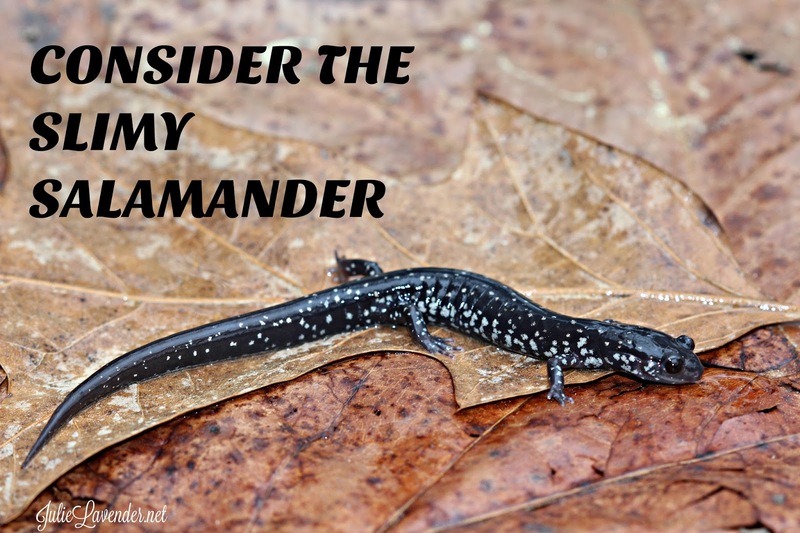 My family lived in various parts of the country when my husband served as a medical entomologist for the United States Navy. Several of those duty stations took us far from our home in the southeast corner of the country. 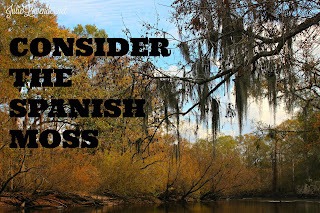 Each time we came home for a visit, silver drapes of Spanish Moss on oaks and pines waved a welcome. Few things said ‘you’re home’ quite like Spanish Moss. 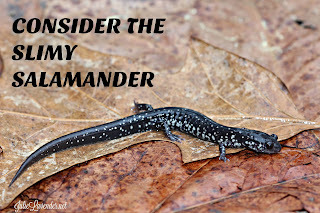 With the warm weather we’ve had lately here in south-Georgia – no, let’s face it – HOT weather – it just really shouldn’t be in the 80s in February – I encountered the first slimy salamander of the season. They always frighten me initially because of the way they slither. They look so much like a tiny snake scooting across the road ahead of me. 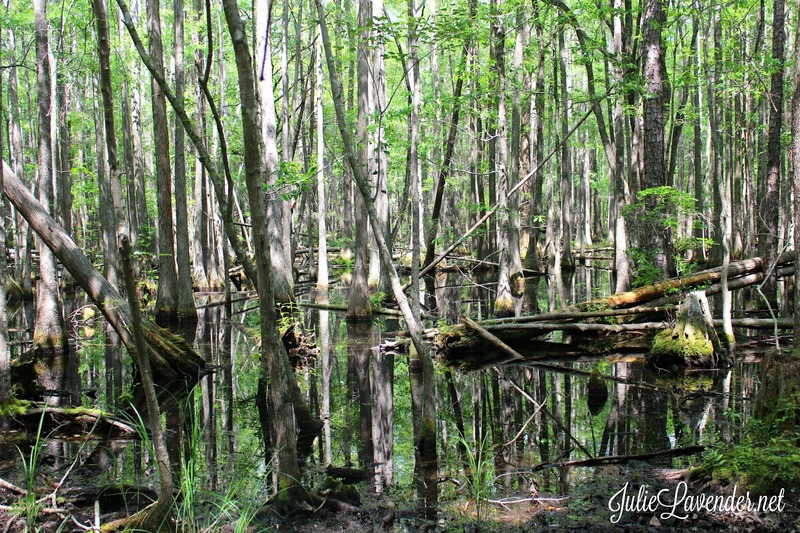 Recent hikes led my husband and me past waterlogged, large-bottomed Cypress trees. “Buttressed bases,” my resident biologist corrected. I chuckled at his loving, yet scientific-scolding. Way more fascinating to me are the Cypress knees that surround most Cypress trees. Wooden, knobby stalagmites. 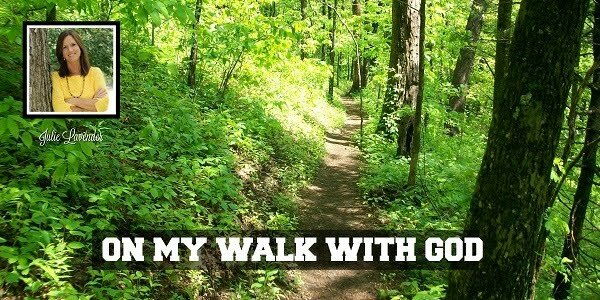 Sometimes short and stumbling-worthy; sometimes knee-height and a bit more obvious. 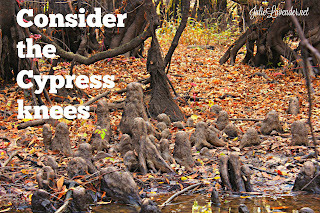 Almost no other tree has knees, not in this fashion. Some have roots that loop and grow in odd shapes, but rarely do other trees have roots that shoot up and grow at right-angles to the underground, horizontal ones. 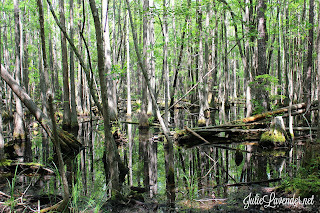 Cypress trees grow near ponds and in swamps and bottomlands. They can withstand flooding and strong winds and scientist have decided they’re vital to the ecosystem, preventing erosion where they stand guard like sentinels and harboring much wildlife, even some endangered and threatened species. 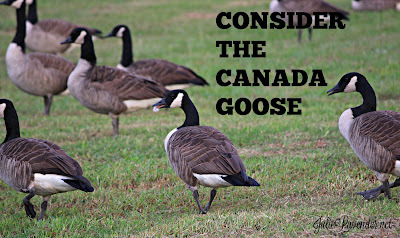 The first time I saw a Canada goose, I was way way above the Mason Dixon Line. One of the first times my range had extended that far. 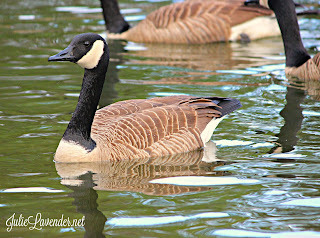 Canada geese – adaptable, majestic-looking with their black head sitting atop a long black neck contrasted by a stark white chinstrap band – are now found in every contiguous state in the United States and Canada province at one season of the year or another. However, that wasn’t the case several decades ago, before they began migrating as far as my little corner of the world, south-Georgia. 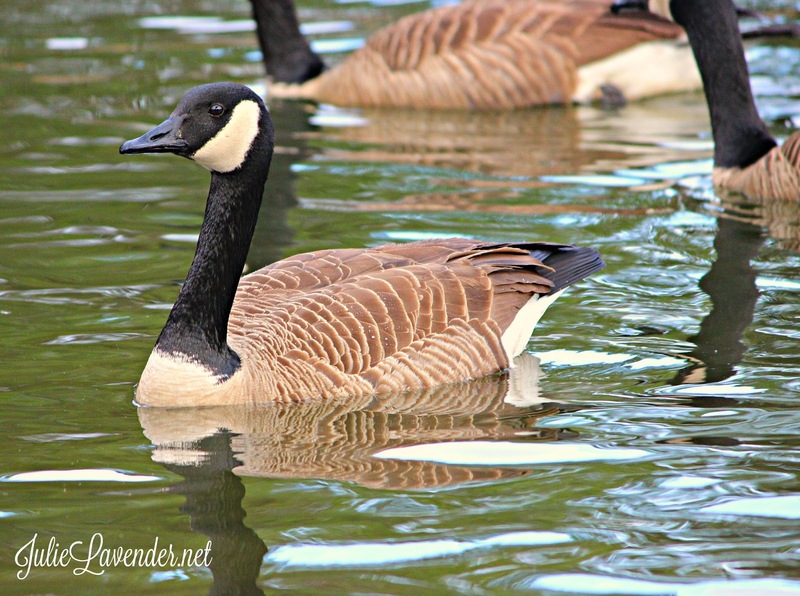 When I was a little girl, I’d only seen Canada geese in books or on television. Of course, there was much I’d only seen on television.